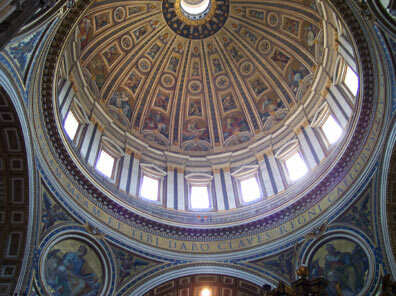 One of the most moving sites we visited in Vatican City was St Peter’s Basilica. Again, as a church, picture taking is limited, although it’s allowed in most areas without flash. Being extremely phobic about heights (and averse to two-hour long lines), I declined to go up into the dome. In the picture above, which I took from the floor, I’ve marked two little orange dots that you might be able to just barely make out. They are near the bottom of the shot, above the “O” in the lettering. Those dots are on top of the heads of two people who are looking out over the railing…that’s how high the thing is! There are people all the way around the dome, but you can’t see them in my photo. Dani tells me that the “O” is wider and taller than a person! I was heartbroken that my very favorite statue in the entire world now has to be kept behind bullet-proof glass, quite far from where you stand to see it. 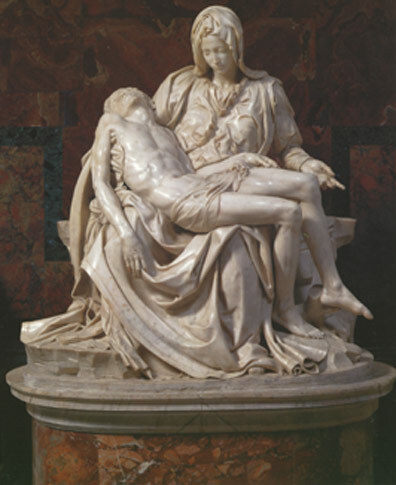 La Pieta, by Michelangelo. Some idiot took a hammer to it a number of years ago, so now it is kept protected. Even from a distance it is very moving. Also very moving is the statue of St Veronica. 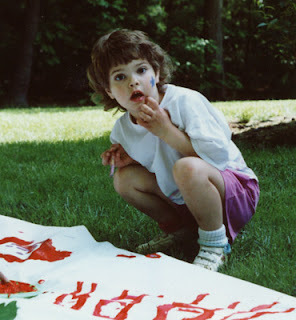 She was supposed to have taken a cloth and wiped the blood from Jesus’s face as he made his way to be crucified. 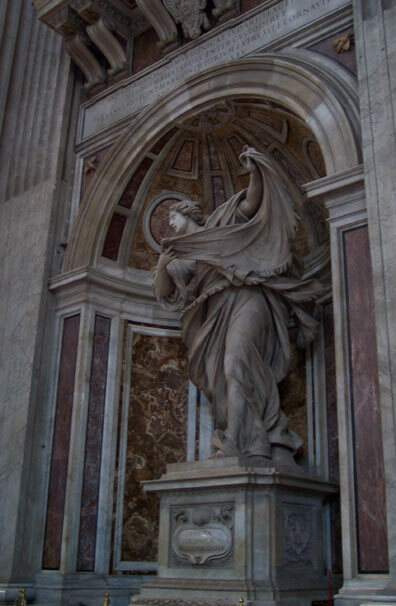 She is holding the cloth in this statue, with a blurred image of Christ’s face, which you really can’t see in this photo. By far the most moving sight I saw, though, was the tomb of Pope John Paul II. You’re going down long hallways filled with the tombs of popes past. Most are ornate, and beautiful, to the point of being overwhelming. Then you turn the corner, and there is a plain white marble slab with his name. That’s it. No other decoration. I cried, and I’m not even Catholic! His tombstone said it all…what a man of the people. I had to Ctrl+ several times to zoom in enough to see those orange dots, Cyndi. Thanks for sharing these. I've never been to Rome so I've especially enjoyed seeing all your wonderful photos.